Someone bring up the Mariah Carey in my headphones. “Heart-breaker you got the best of me…” oh wait, umm, is this thing on? They can here me? Ugh, nevermind. The Joe Rocket Heartbreaker 3.0 Jacket is built out of a sturdy RockTex 600 outer shell and is a good 3 season jacket for female riders looking for better utilization through spring, summer, and early fall. With CE-approved removable armor at the shoulders and elbows for protection and the option to upgrade into a CE back protector as well, you can set yourself up for a solid line of defenses should a crash ever occur. Additional functionality can be seen in the variable flow ventilation system which gives you more control over the amount of air circulating through the jacket, as well as a removable satin insulated liner that can extend the comfort zone into slightly cooler weather. 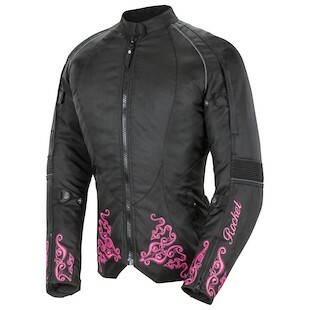 “I should have known, right-from-the-start, you’d go and…” check out the new Joe Rocket Heartbreaker 3.0 Jacket! **If you haven’t heard this song before, none of this made any sense.